Ginger came to AAE in November 2014 after a family health crisis. 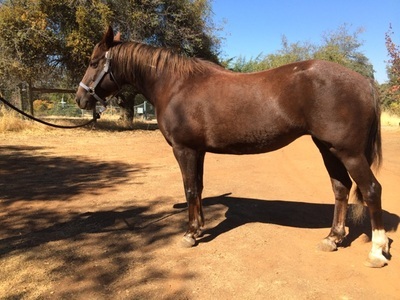 She appeared to be in relatively good condition, but hoof and dental care was lacking. 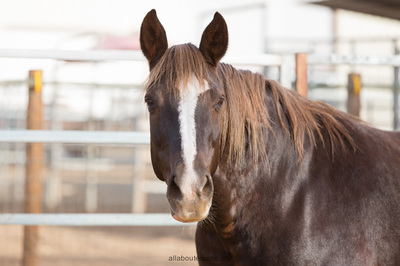 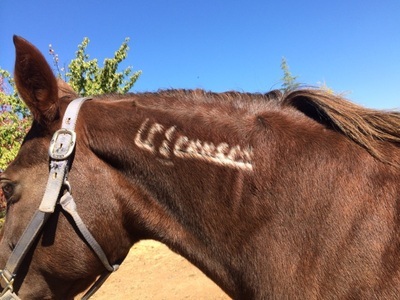 Ginger is a BLM mustang that was trained in the Carson City Inmate program. 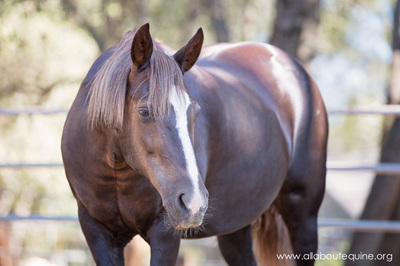 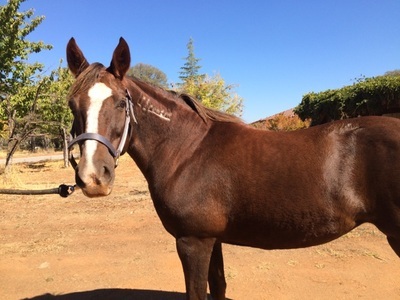 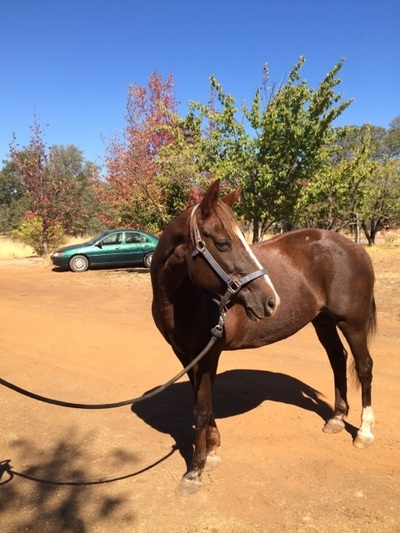 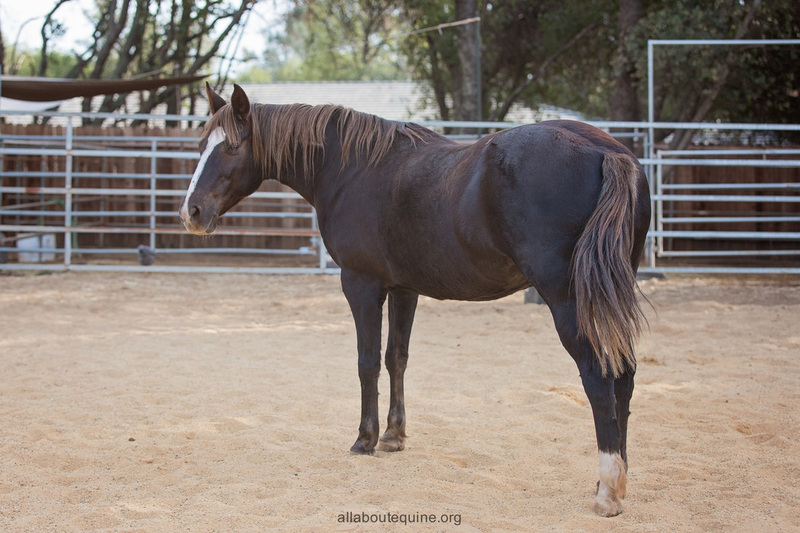 She is a very sweet, social mare, and is said to be ridable by anyone. 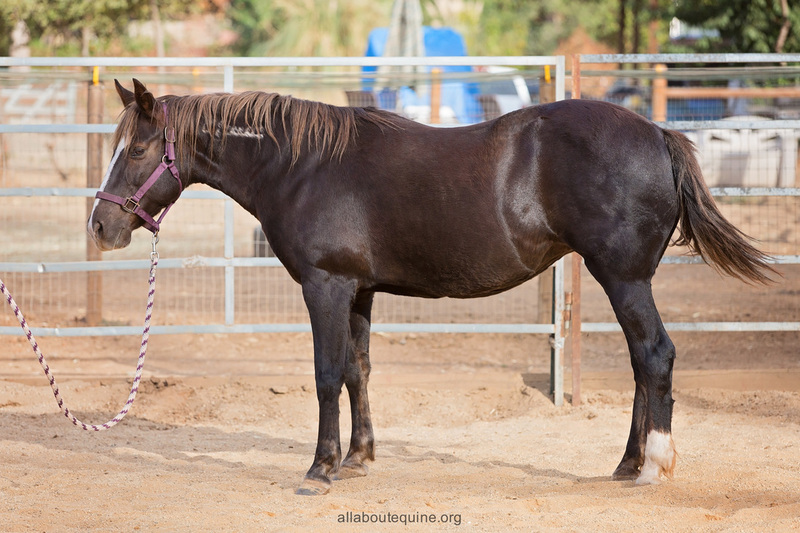 However, she has navicular cysts in her front left hoof. She was typically sound at the walk, but would get sore when moving out. She has been in wedged shoes in front and is doing very well. At this time, she will be best suited as a companion horse, and maybe some lead-line riding for a small child. She is current with vaccines, deworming, and dental and hoof care.